New Construction/Custom Home, siding and eavestroughing installers. 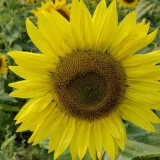 Serving central Alberta for over 15 years. Specializing in custom exterior projects, residential and commercial. No project is too big or too small. Red Deer Roofing & Exteriors Ltd offers a wide range of products & services to fit any budget. Specializing in reroofing, siding, hardi planking , soffit, fascia , gutters, metal roofing , flat roofing , building maintenance , water proofing & roof / siding / soffit repairs for all slopes. Proudly serving innisfail , lacombe, ponoka, stettler, blackfalds, Rocky Mountain house , olds, Rimbey, Red Deer County, Caroline & all of central Alberta.Free Estimates We are fully licensed, insured A+ Bbb rating, wcb covered , Haag Certified . 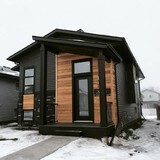 PROFESSIONAL & RELIABLE CONTRACTORS FOR EXCEPTIONAL ROOFING, SIDING INSTALLATION & REPAIR SERVICES IN RED DEER, ALBERTA When it comes to roofing repair, siding installation and other home improvement services in Red Deer, AB and surrounding areas, contractors at RJ Siding and Renovations Ltd are the trusted experts. Our contractors perform exceptional quality roofing and siding services for your Red Deer, AB home with careful attention to detail. Our objective is to provide our clients with first rate services and beautiful and long-lasting finish at competitive prices. 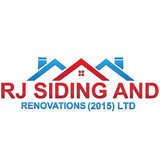 25 Years of Experience RJ Siding and Renovations Ltd has been in the business for many years. With 25 years of experience in roofing and siding installations, repairs and home improvement services in Red Deer, AB, our contractors are confident that they can handle any roofing and siding services you need. From vinyl siding, asphalt roofing, metal roofing and siding, eavestrough, garage construction, deck service, shed construction, window and doors and other home renovation services in Red Deer, AB our contractors have all your needs covered. Our expert contractors have the years of experience and skills to provide roofing and siding installation and repair services for residential and commercial property owners anywhere in Red Deer, AB. We work with all kinds of roof materials, so you can feel confident that there is no home improvement project our contractors can’t handle. 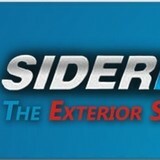 Siderman, The Siding Specialists, Commercial Renovations & New Residential Construction with 18 years experience in the siding business. Serving Red Deer, Alberta and the surrounding areas. Allrose Exteriors has been in business for over 30 years. We specialize in residential exterior services for your new or existing home. When our company first began, most of our work was hail insurance claims and renovations. About 10 years ago we began taking on new construction, as well. Right Side Roofing & Siding Ltd.
What types of siding services do Lacombe exterior contractors provide? Wood siding needs more maintenance than less-expensive, low-maintenance vinyl siding, but with proper care it will outlast vinyl siding, which can fade and crack over time. Your Lacombe, AB contractor might also suggest fiber cement siding, which is fire resistant and termite-proof and can come with a warranty of up to 50 years. Find siding and exterior contractors in Lacombe, AB on Houzz. Narrow your search in the Professionals section to Lacombe, AB siding and exterior contractors. Find out how long a Lacombe, AB exterior remodeling contractor has been in business, view portfolios, read reviews and get contact information.